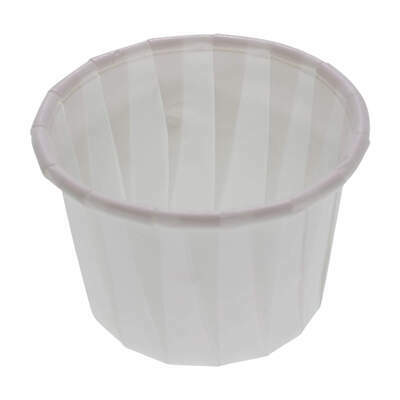 For high versatility, our Disposable Paper Pots offer storage solutions for a wide range of different tasks. From the distribution of tablets to residents within a care home through to the individual organisation of paints during a primary school arts session, these disposable waxed paper pots can be easily stacked for compact storage and each holds a sizeable amount of product or contents. Used in the NHS for many years, these hygienic pots have a high resistance to liquid penetration while being suitable for the compost heap when it comes time to dispose of them. Provided in a large pack of 250, choose a hygienic distribution option that will come in handy for all manner of jobs. If purchasing for a nursery or primary school environment, why not consider topping up your Arts and Crafts reserves with our Gompels Ready Mixed Paint 600ml - available in a variety of bright and bold colours that are guaranteed to spark their imaginations.